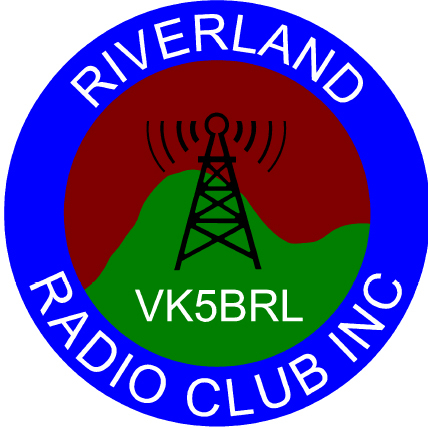 On April 22nd 2017, the Amateur Radio Experimenters Group conducted an Amateur Radio focused balloon launch from the Riverland Radio Club’s VK5BRL Weekend event at Overland Corner Hotel in the Riverland. 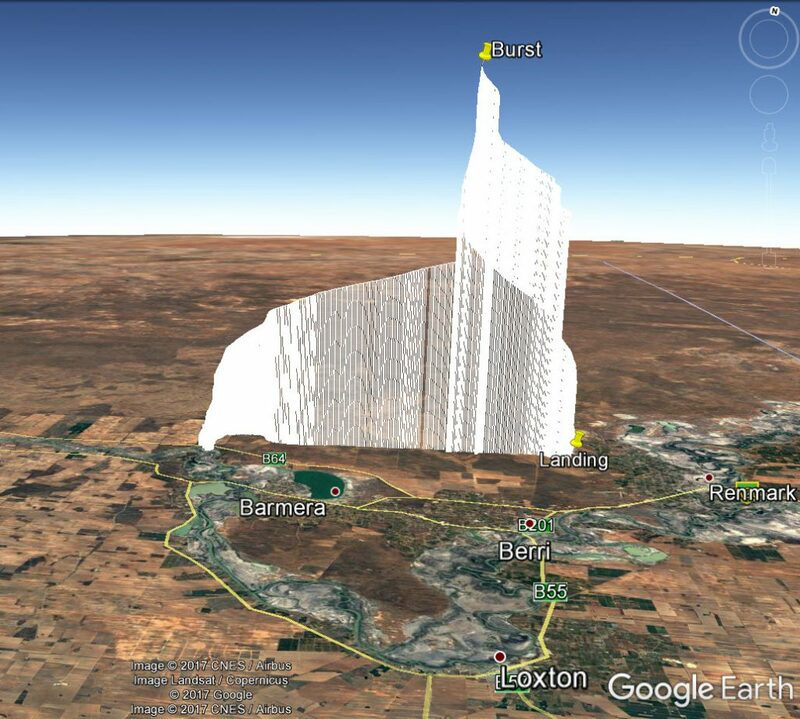 This launch was carried out to bring some interesting amateur radio based experiments to a new audience, and also to encourage more tracking stations to take part in Project Horus from the Riverland region (which is often a landing ground for the flights from the Adelaide Hills). The launch campaign began at 9.00am with Bob VK5FO and Ray VK5RR helping Ivan VK5HS set up the balloon ground control station at the BRL Weekend event. Horus 44 was the first flight of a new 2m/70cm voice repeater so we also were making contacts through the balloon using the VK5WOW special event callsign throughout the flight, promoting the Wireless Institute of Australia’s AGM which was being held in VK5 a few weeks later. Meanwhile the ground crew started preparations to launch the payloads. AREG members Matt VK5ZM, Mark VK5QI, Grant VK5GR, Darin VK5IX and Kim VK5FJ worked on assembling the payload train and filling the balloon with helium. The predicted flight track was to take us east, to land tot he north west of Renmark. We certainly hoped is would follow that track, as there were many inaccessible obstacles in the Murray River marshlands area. We were going to find out soon enough! Lift off was a text book effort, and straight away people were accessing the repeater, able to make contacts with VK5WOW. The only issue noticed early on was that the repeater’s receive filters were very narrow, enough to cause the mute to shut if you spoke to loudly. Even with that issue, contacts streamed through think and fast. 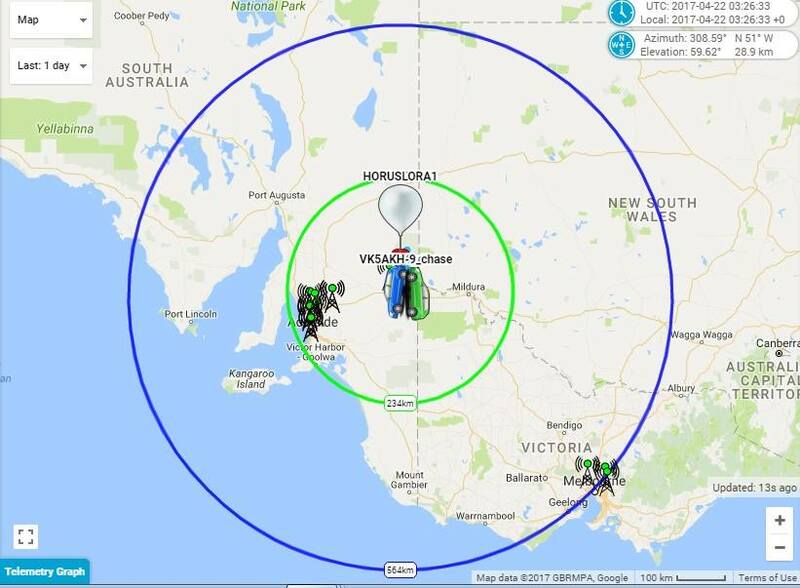 The repeater footprint continued to expand, and just reached Melbourne before the balloon burst. In addition to the voice repeater, the WENET camera payload also flew collecting stunning images of the Riverland region from the air. Meanwhile the chase teams had driven to Renmark and were watching intently as the balloon progressed along its path. The two AREG teams were joined this time by Peter VK5PE and a crew from the Riverland Radio Club. The local knowledge they brought to the chase was invaluable! At one stage we became quite nervous as it appeared it may actually land in the marshes. However, the winds once again became favorable and the landing zone looked very good indeed. Recovery occurred after a short hike into a local conservation park, but not before we watched the balloon descend gracefully from about 1500m elevation! The fight track for Horus 44 shows that there were fairly light high altitude winds on this day. Once clearing the ground winds the flight profile was remarkably vertical. This time we saw major contributions from many of our ground stations too. 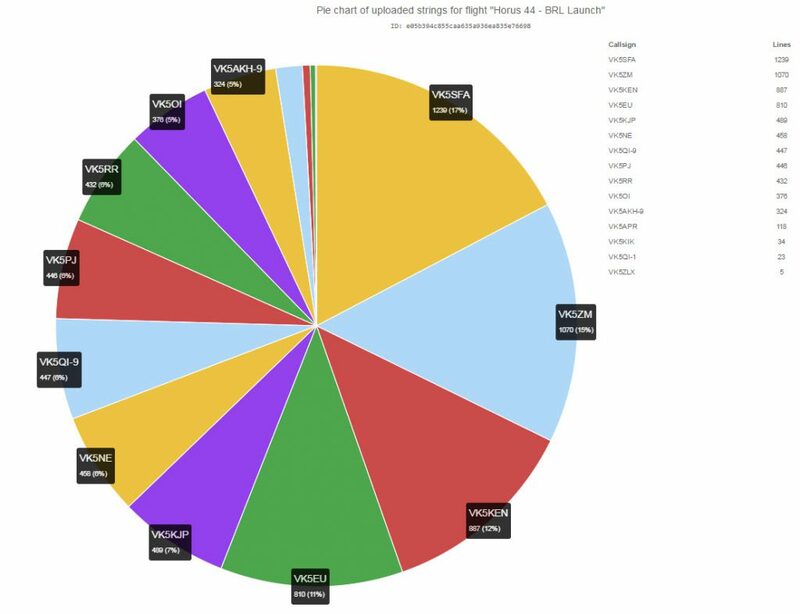 The following pi-chart shows who collected telemetry for this flight. It was a very successful flight! A huge thank you again to everyone who was involved, and in particular to the Riverland Radio Club for the invitation to come and fly from their back yard. 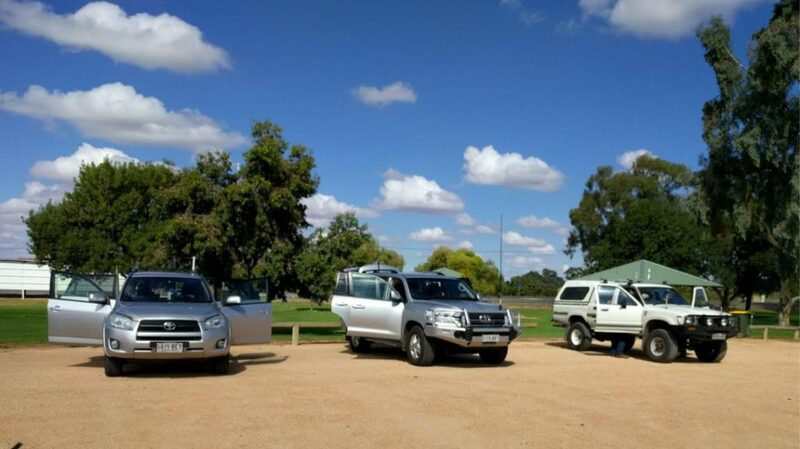 Thanks also to the AREG members who traveled and stayed in the Riverland to fly Horus 44, with a special thanks to Sharon VK5FSAW who once again helped with logistics through catering the lunches for those chasing the balloon! This entry was posted in Horus, Project Horus and tagged brl weekend, Flying Repeater, Horus by VK5GR. Bookmark the permalink.